Summer bodies are made in spring with Pilates but when, exactly, do you need to start? Without a shadow of a doubt it’s better if you maintain your weight and exercise routine all year-round, but we know that winter means red wine, carbs and great TV programs on your comfy sofa. So assuming you have put on a bit of winter padding, how long have you got left before it’s time to get yourself back into that summer body? Summer bodies are made in spring with Pilates, what’s your approach? Method 1 go for gold – spend a month in food jail, exercising like crazy and generally being exhausted – sounds fun? It works short term but is not sustainable and during summer you are likely to put the weight back on. Method 2 the tortoise treadmill – take a more gradual approach over 10 – 12 weeks and make minor changes as you go. Cognitively it’s a lot easier on the brain and you will still achieve the [same] physiological changes by the end (a banging bod!). If you’ve let it slip this winter, now is a good time to consider dusting off your sportswear get involved in a new routine. I strongly believe in a combination of cardio and Pilates strength training for all round fitness, check out our class timetable https://simplybepilates.com/pilates-timetable-barcelona/ and of course ready for those skimpier outfits. For strength training, Pilates will get you strong from deep core to your superficial muscles. It’s no secret that Pilates gives you long lean muscles, which means a higher muscle mass without bulk. This greater muscle mass is going to increase your metabolism and help you burn more calories 24 hours a day as well as giving you that long, lean, toned summer body. What most people don’t know about having higher muscles mass is that you burn more calories when doing cardio activities as well. Basically Pilate’s gives you get more bang for your buck in the Pilates studio and out! High intensity cardio training is an important tool to achieve your summer body, but when it comes to cardio people go a bit overboard. Adrenaline highs replace good form and techniques, this is when burnout and injuries occur. This is not to say stop doing Cardio, or doing cardio lighter than your capability. It’s to say “Be aware in your cardo routine”, Watch joggers leaning forward on their run messing up their backs, knees and ankles, or the person next to you in the circuit training class damage their neck as they race to complete the 40 sit ups. 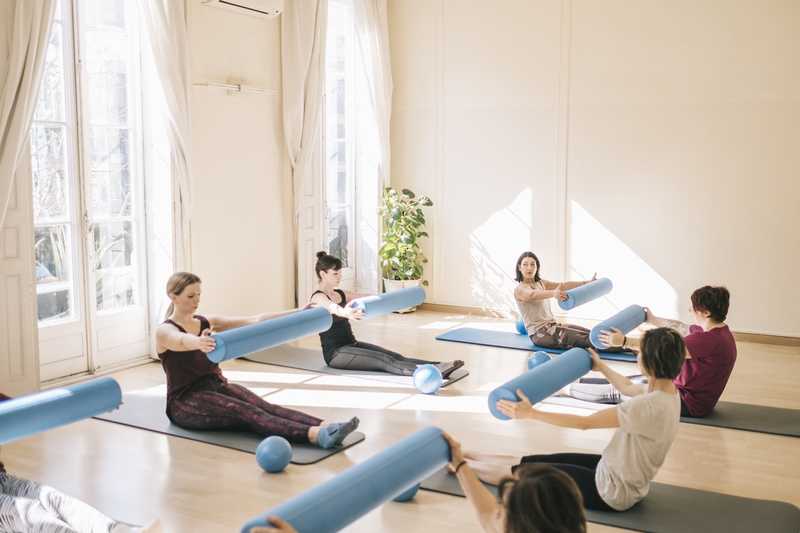 Pilates helps you with your cardio workout, creating body awareness and core strength so that you can workout while holding good posture (preventing injury) and to get you through your training session developing your muscles in the right way. Professional sportsmen and amateurs alike maintain healthy muscles with maintenance massage sessions. When muscles are unhealthy, they can become weak, fatigued and more likely to become damaged. A massage will help to stimulate an increase in blood flow. Nutrients such as calcium and iron are carried within the blood which are essential to keep muscles healthy and strong. Oxygen is also carried within the blood. Oxygen provides muscles with energy within the working of the muscles.